Instructions To view or download a larger image of a product, go to the product category and click on photo gallery. This alarm clock radio is equipped with wireless charging and Bluetooth connectivity. It comes with 2 USB charging ports; a 1.0A port for smartphones and a 3.1A port for tablets. Clock has a 0.9" LED display with AM/FM radio so you can sleep to music. Also has aux cord to amplify any portable device with a headphone jack. Battery backup for clock only (battery not included). Measures 7.75" wide x 5" deep x 2.75" high. Master Pack Carton: 17" X 13" X 14"
Gift Box Carton: 8.25" X 6.5" X 3"
This Bluetooth clock radio comes with 2 USB charging port, a 1.0A port for smartphones and a 3.1A port for tablets. 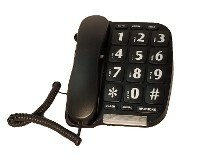 It is also equipped with two 110 volt plugs for charging or to plug in a lamp or any other 110 volt item. 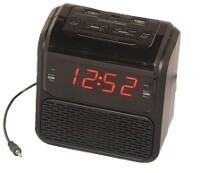 Clock has a .9'' LED display with AM/FM radio so you can sleep to music. Can connect to Bluetooth enabled devices. Battery backup for clock only (battery not included). Measures 5.25'' wide X 5.25'' deep X 4.5'' high. This clock radio comes with 2 USB charging ports, a 1.0A port for smartphones and a 3.1A port for tablets. 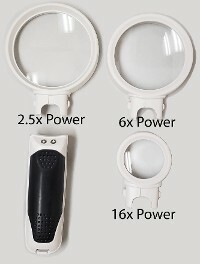 It is also equipped with two 110 volt plugs for charging or to plug in a lamp or any other 110 volt item. 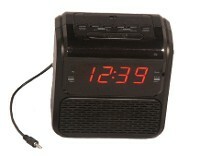 Clock has a .9'' LED display with AM/FM radio so you can sleep to music. Battery backup for clock only (battery not included). Measures 5.25'' wide X 5.25'' deep X 4.5'' high. 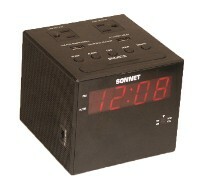 Single day alarm clock radio with 2 USB charging ports, a 3.1A port for tablets and a 1.0A for smartphones. Alarm automatically turns off so the alarm will be off for the next guest. Clock has a .9'' LED display with AM/FM radio so you can sleep to music. Aux in cord for listening to music on your portable device. 2 ''AA'' batteries for battery backup (batteries not included). Small foot print for night stand. Measures 5.25'' wide X 3'' deep X 5 1/2'' high. Single day alarm clock radio. Alarm automatically turns off so the alarm will be off for the next guest. Clock has a .9'' LED display with AM/FM radio so you can sleep to music. Aux in cord for listening to music on your portable device. 2 ''AA'' batteries for battery backup (batteries not included). Small foot print for night stand. Measures 5.25'' wide X 3'' deep X 5 1/2'' high. 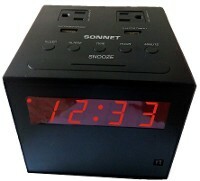 LED alarm clock with a 1.0A USB port for charging smartphones and a 3.1A USB port for charging tablets. Clock is visible in dark bedroom with a .6'' high LED display. Battery back-up (battery not included). 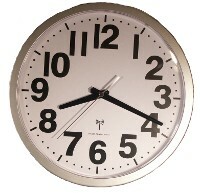 AM/PM and alarm indicator. Snooze for extra naps. Matte black finish. Controls on top of clock. For 110-120 volt AC. 60 cycle. 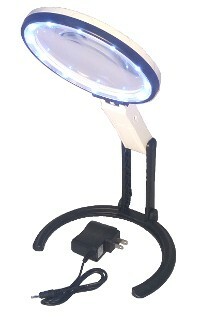 Super bright 10 LED stand magnifier with 5'' acrylic with a bifocal inset lens. Over 10 inches of space to work under the lens. Ratchet construction hinges to provide a sturdy balanced viewing area. Power provided by 2 ''AA'' batteries (not included) or AC adapter (included). Folds up for storing.